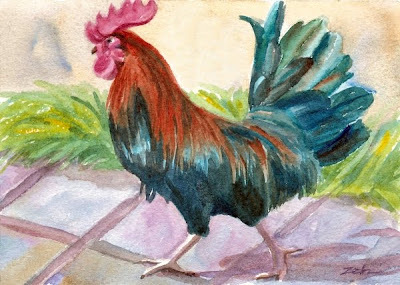 On the island of Bermuda where the poultry runs wild, I saw a number of roosters wandering about a nature preserve. I never knew they would flock together, thinking roosters are territorial, but there they were. Of course, there were hens and chicks everywhere as well. Here is one of those proud, handsome birds.